If Tesla Motors gets its way, the next set of flashing lights in your rear view mirror very well could be attached to an electric car. No wonder California can't balance their State Budget! As much as folks want electric cars, they have a long way to go to be practical. They better get increased mileage on those batteries if they want to be actually useful as a patrol car. 150 mile charge isn't crap to a cop car. Lithium mining is more destructive than oil. Last edited by roxer; 05-18-2016 at 06:20 AM. Last edited by rob the elder; 05-21-2016 at 06:17 AM. 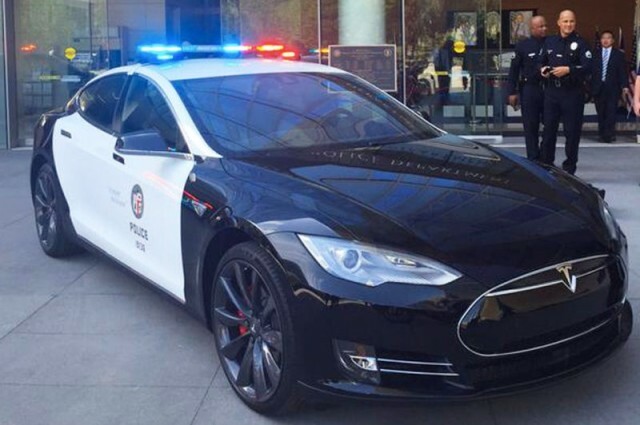 I kinda agree with T'Soup, if they didn't think the LAPD would cough up the money in time for a few, why loan them not one, but 2 Tesla's in the first place? I've driven one, not the insane model, and if I could afford one I would buy one in a heart beat; and I'm not going to wait till 2020 for a Model 3 to become available. Gee, our police cruiser will take almost two hours to charge. I suspect Krispy Kreme doughnuts will become the popular place with recharging stations.